Nikon AF-S 24-85mm f/3.5-4.5 G ED VR Lens. 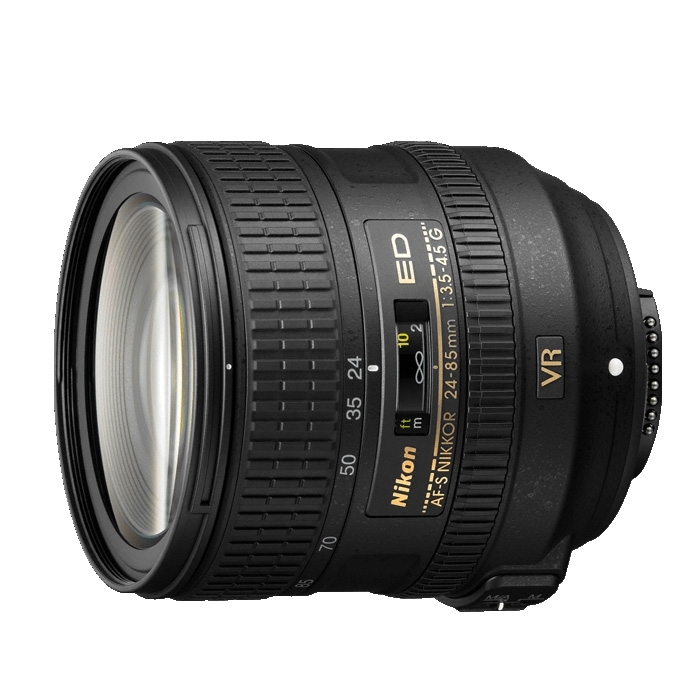 Covering a versatile wide angle to medium telephoto zoom range, the new AF-S NIKKOR 24–85mm f/3.5-4.5G ED VR delivers noticeably sharper photos and HD videos thanks to Nikon's Vibration Reduction technology (VR). Nikon VR (Vibration Reduction) image stabilization provides 4.0 stops* of blur free handheld shooting, assuring dramatically sharper still images and HD video capture.